Yes, on the Designer collection, all ornaments, décor, and LED lights are attached to your Easy Treezy. On the Natural collection, all Christmas trees are pre-lit. Simply open the box, stack the sections and you are done! Does the tree come pre-lit? Yes! Every Easy Treezy comes pre-lit with 270 durable, long-lasting clear LED lights. How does the tree assemble? Easy Treezy’s revolutionary patented system is the easiest artificial Christmas tree to setup. Simply, open the box, remove the piece. Flat panel sections will securely close using magnets. Once all once sections are made, stack the cone together, industrial magnets hold the tree firmly in place. We like to say, one, two, TREE!!! 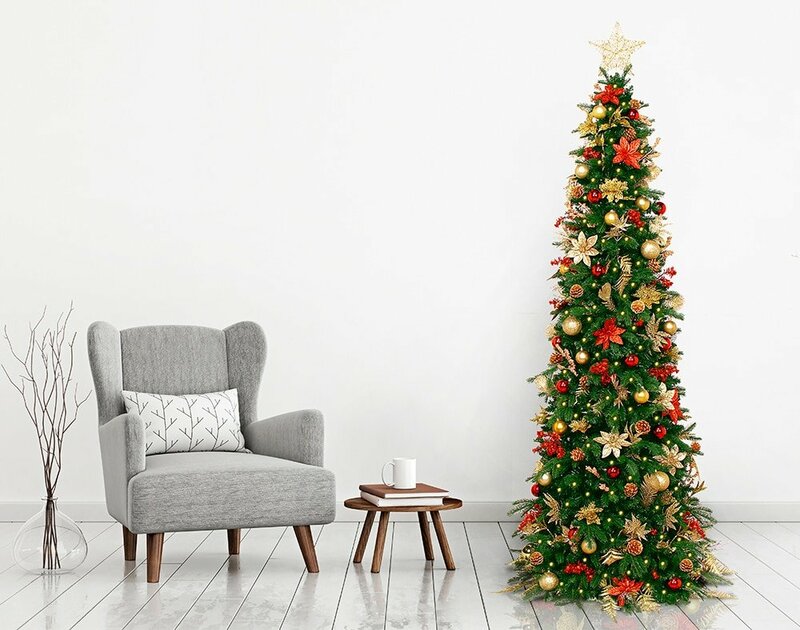 No, Easy Treezy’s patented tree system is made of light weight plastic, weighing 65% les than traditional artificial Christmas trees. It is extremely easy to setup all by yourself! Will Easy Treezy lean or tip over? 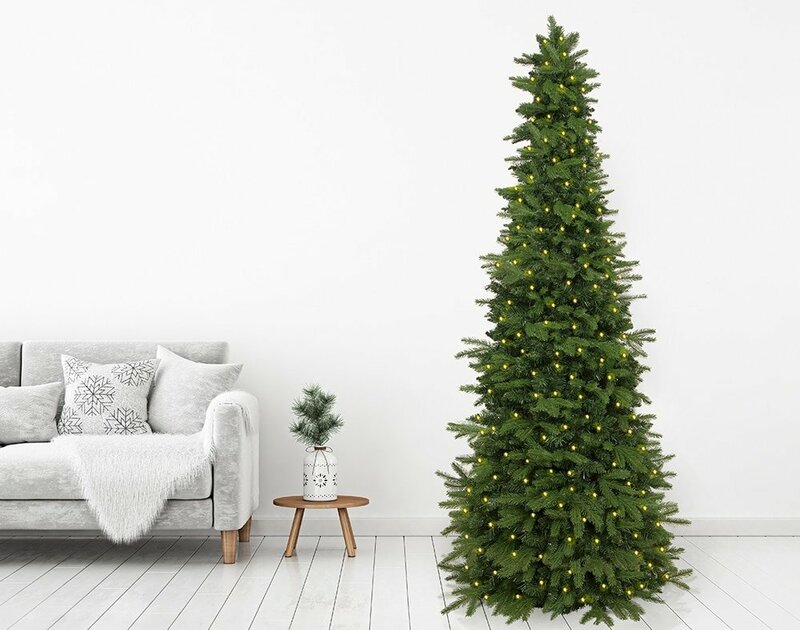 Easy Treezy’s artificial Christmas tree stability comes from its wide base. 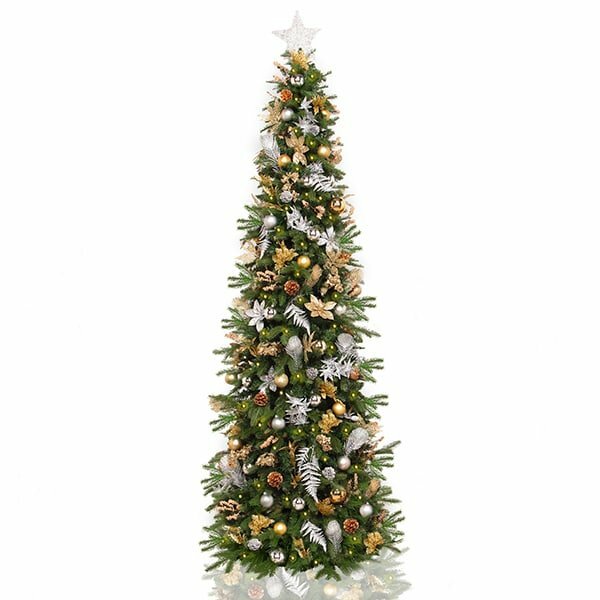 Unlike other Christmas trees, Easy treezy has a wide base that is firmly planted on the floor. It is impossible to make lean, and very difficult to tip over. It has been fully tested with kids and pets alike! Sit back and relax, your easy treezy Christmas tree is safe! Yes! 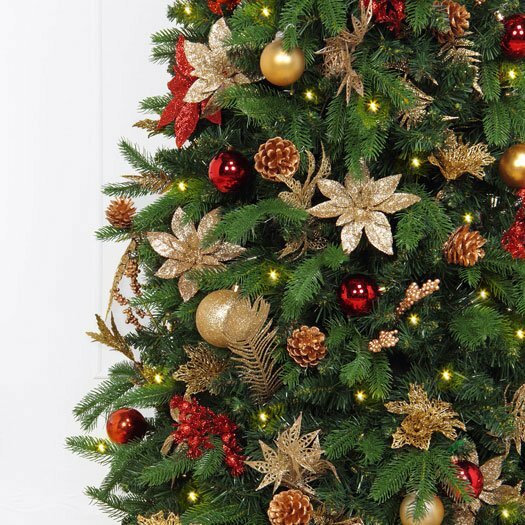 It may be the last artificial Christmas tree you ever buy! Easy Treezy is designed to withstand many holiday seasons. Made with durable materials and long-lasting LED lights, Easy Treezy will make Christmas memories with you for years to come! How do I store Easy Treezy? Due to its patent-pending design, Easy Treezy has several convenient storage options. You can return your tree to its original packaging, store it flat under your bed or on a shelf, or hanging it on a hook! It is the easiest artificial Christmas tree to store and light enough to put away by yourself! Realistic Artificial Christmas Trees. Pre-lit with LED lights and assembles quickly with our easy setup system. Pre-lit and Pre-decorated Artificial Christmas Trees. Yes, that is right, Christmas tree ships pre-light and with all décor attached. All you need to do is set it up! Want a designer look, but have your own Christmas tree? Easy Treezy’s Décor Kits provide all the décor items to make your artificial Christmas tree look magical! 150 Christmas ornaments included in each kit.